We’re proud to be in Hendon, part of the London Borough of Barnet, and to make important contributions to our local community. We've also expanded our profile around the world with campuses in Dubai, Mauritius and Malta. We’re always open for our local community. From our cafes and green spaces to our innovative teaching and social environments, if you live locally then we want you to come in and see us, attend our events and feel at home. We care about the physical environment at our campus in Hendon, north London. We're doing award winning work to make it more sustainable and to reduce our impact on our environment year on year. Watch our video to find out how we're increasing biodiversity on campus through collaborative thinking and working. Check what's in our calendar over the next few months. You can choose from performances by our students to talks by high profile guests to seasonal celebrations. Get a taste of the many Science, Technology, Engineering and Mathematics (STEM) courses available at Middlesex. With a variety of activities to explore and interact with, you can try your hand at something new and exciting. 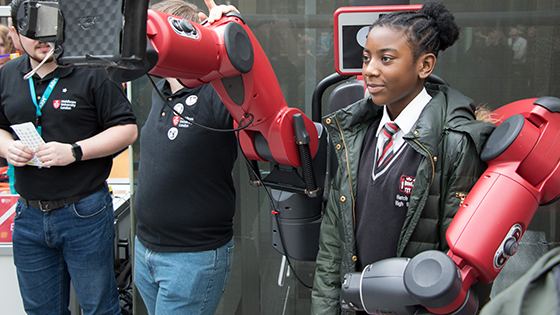 From learning how to programme a robot, testing the latest sports equipment to understanding how to treat diseases - there’s something for everyone. We see the world as our campus at Middlesex. We’re located across three continents with students from more than 140 countries. Wherever in the world that our students learn with us, there are the same excellent teaching and professional standard facilities.